The hunter threw her spear at the deer. The villagers were using spears to catch fish. The army had 40,000 spears. The soldier speared the enemy fighter. Isobel speared a piece of food with her fork and lifted it to her mouth. The plane speared through the clouds. A spear is also a sprout or a shoot of a plant. It is used most commonly to refer to asparagus or broccoli, but it can also be a blade of grass or the shoot of a grain seed. Spears are among the earliest weapons developed by humans. There is archaeological evidence that spears were being used at least 400,000 years ago and some scholars believe they were used even earlier than that. Humans are not the only creatures to make spears though. Chimpanzees have been seen making spears from straight tree limbs. 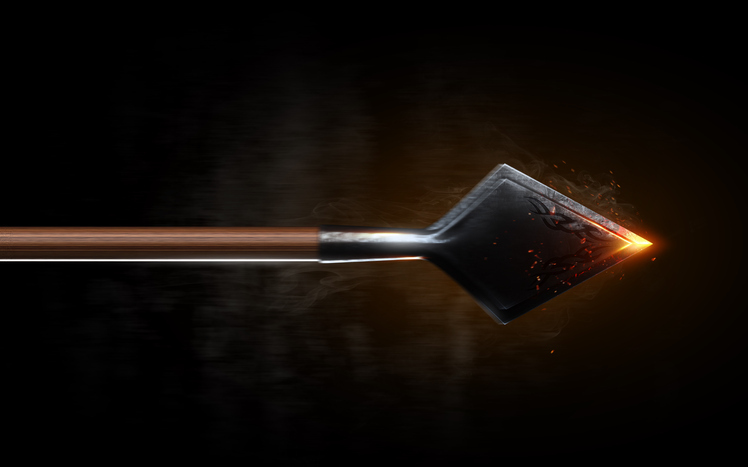 Spear, meaning ‘a weapon with a sharp point and a long shaft,’ dates back to before the year 900. The Old and Middle English noun spere (which could mean a spear, a javelin or a lance), can be traced back to the Proto-Germanic noun speri and the Proto-Indo-European root sper– (spear or pole). It is related to the Old Norse spjör, the Old Saxon and Old Frisian sper, the Dutch speer, the Old High German sper, and the German Speer (all meaning ‘spear’), as well as the Old Norse sparri (spar or rafter), the Latin sparus (hunting spear) and the English noun spar (rafter). The verb comes from the noun, and dates back to the late 18th century. Spear, meaning a sprout of a plant, is completely unrelated. The form we know today dates back to the mid-17th century, but it is a variant of spire, which has been around (meaning ‘a spike, shoot, spike or blade of a plant’) since before the year 900, as the Old English spir. It can be traced back to the Proto-Germanic spriraz and the Proto-Indo-European root spei– (sharp point). The meaning we now give to spire (the tapering of a tower or steeple) was originally a figurative sense of the meaning.